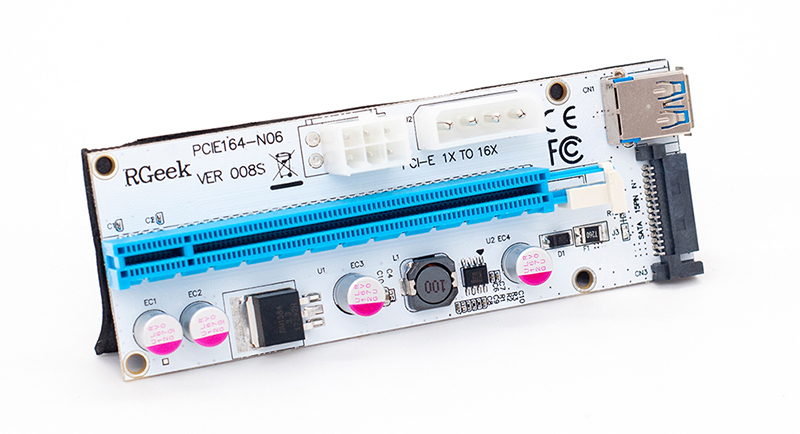 Riser V008S PCI-E 1x-16X , m 3 forskjellige power plugs. 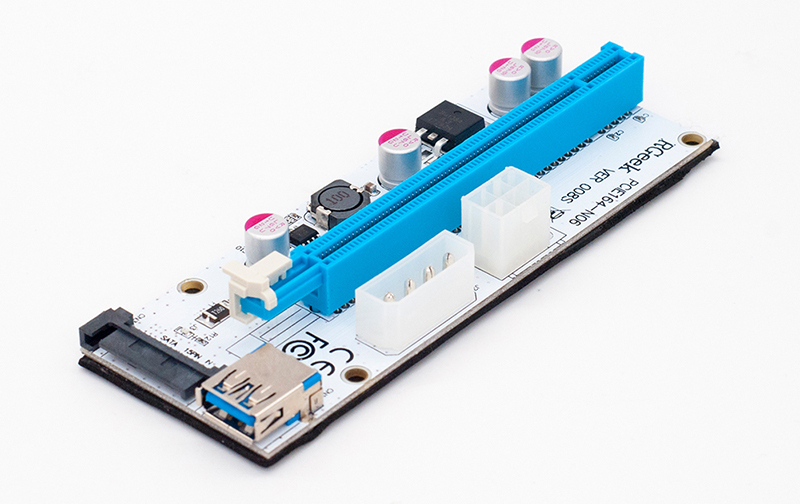 Note: As each batch of raw material may be different, The PCI-E riser card may be a little different on the appearance(Such as Solid capacitor, USB 3.0 cables, the PCI Express x16 slot, The Chip model,The Silk print), but the function is the same. 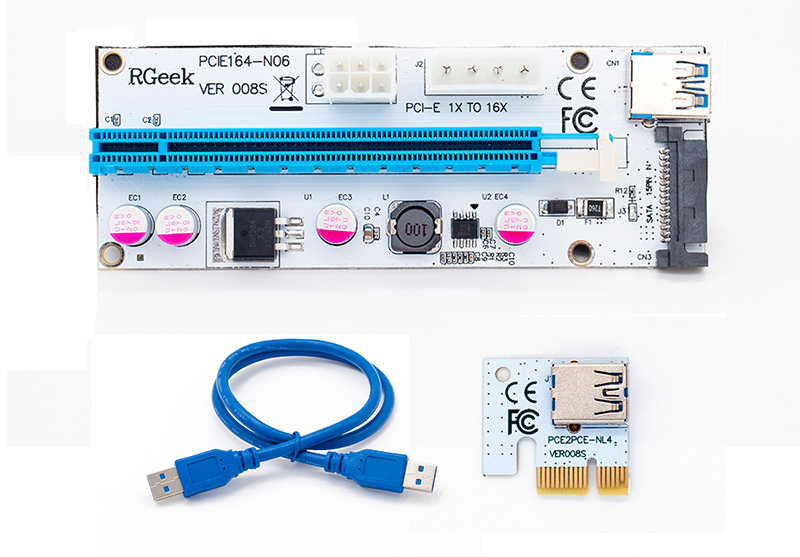 RGeek promises testing each riser before the shipment! 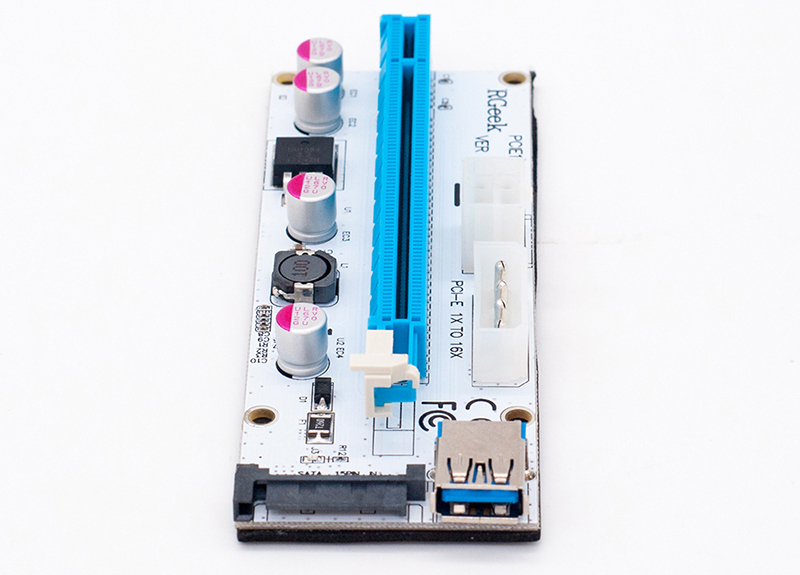 4 Solid Capacitors on Each Card, 4 Holes on the Riser Card to Fasten. 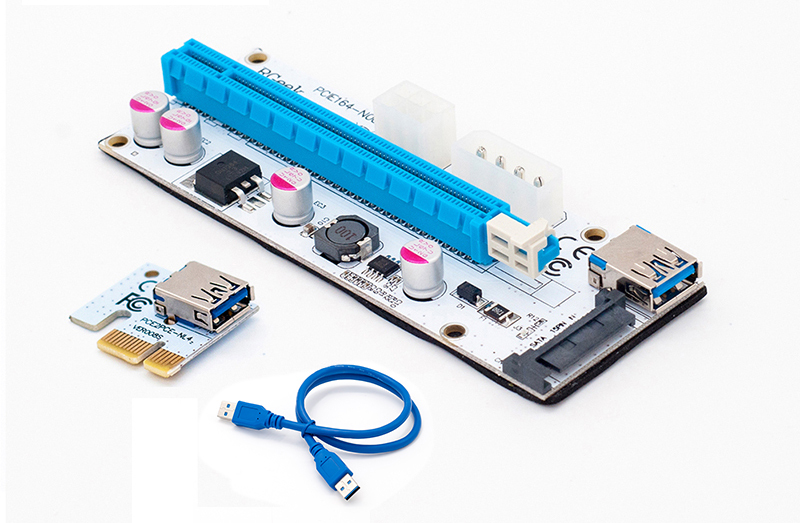 4PIN, SATA and Graphic card 6PIN interface, Three Interface Optional. 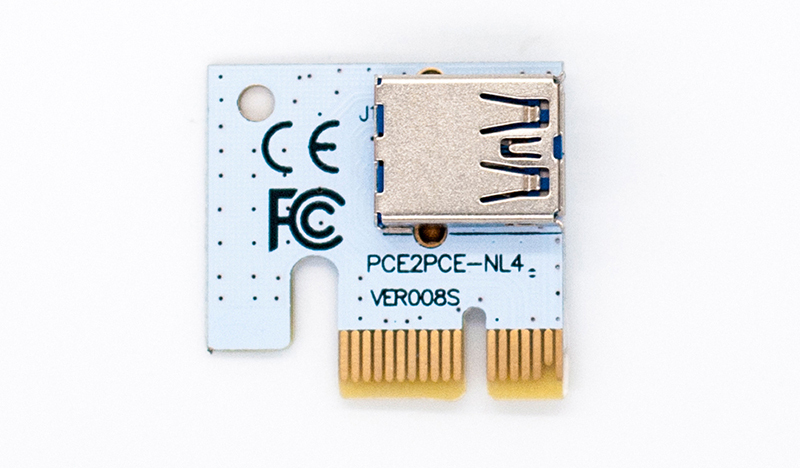 90 Degree PCI-E to USB Adapter, Easy to be Installed. 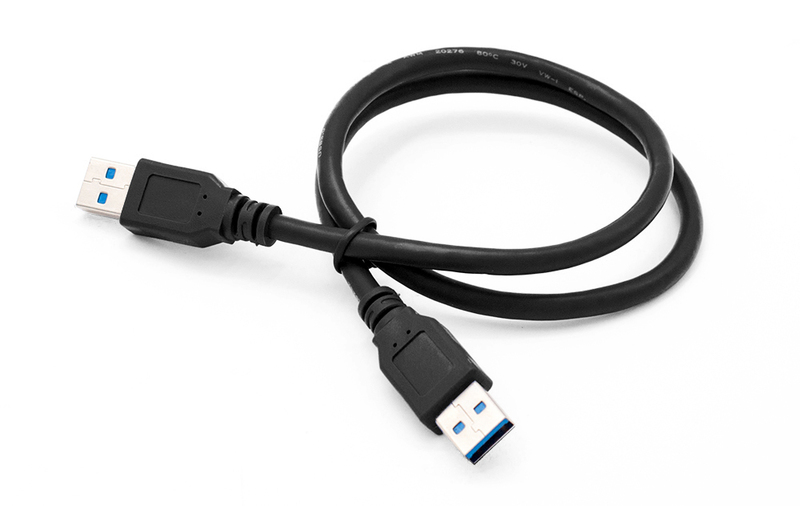 High Quality 60cm USB 3.0 Riser Cable(Blue or Black, send randomly).